Customer engagement is earned through trust and over time. It’s no easy feat for brands; our noisy digital age means that connecting with customers is rather challenging. What’s more, customer engagement is intrinsically hard to measure. Sure, you can track email opens, clicks, and conversions. But what about word of mouth and brand awareness? The important stuff. Put simply, customer engagement is attracting and influencing customers in order to capture and retain their attention. Brands seek participation from consumers at length: a collection of individual moments that make up a customer’s experience or journey. In the very first instance, you should look to engage your customers at an emotional level. They need to ‘feel’ something for your brand and trust your proposition. Secondly, you need to lock in commitment and ensure that what you’re offering makes logical sense to the customer. Lastly, and most importantly, you’ll have to communicate your brand virtues. Ethical marketing helps nurture promoters – people who will actively advance your brand’s influence. Inspire emotions to engage customers. As human beings, our decisions are influenced by our emotions. We love authenticity and hate deceit, so brands need to come across as trustworthy. Only then will customers respond positively. Make an offer of trust at your debut; design carries a lot of weight in trust-building, so you want to be looking your best in your welcome program. Let your color palette intertwine with copy, and ensure those social links and calls to action are clear. Design email for mobile, too. Did you know that mcommerce sales reached 59% of ecommerce spending overall in 2017? Adopting a mobile-first strategy has never been more important. 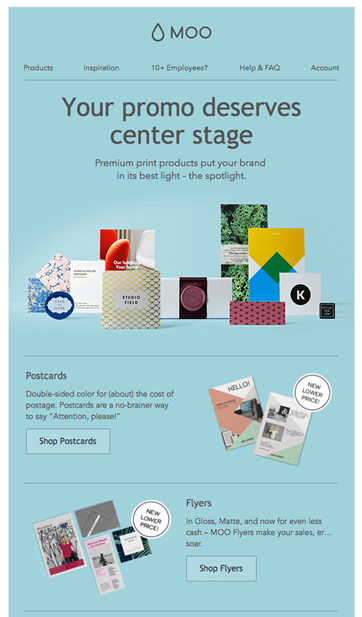 You can download our customer engagement guide for some stellar examples of email creative. 74% of marketers say targeted personalization increases engagement. A first-name greeting, albeit a simple tactic, can put a smile on your customer’s face and prompt them to act. Why not try embedding their name onto an image using liquid script? An authentic brand narrative is important for creating brand relevance. Millennials in particular will respond better to emotive marketing than promotional ads. Enchanting subscribers with storytelling means activating memories, feelings, and desires. Relevancy is key: Use the customer data you hold to create meaningful campaigns. EasyJet’s anniversary story is a lovely example. Customer-first businesses earn social proof. The important thing is to let the customer do the talking. 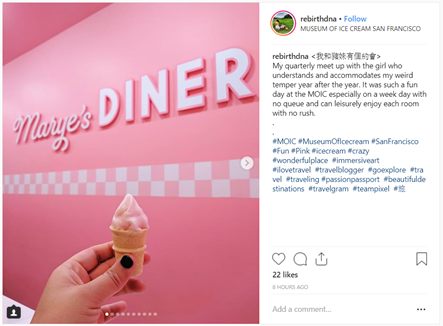 Ratings, reviews and testimonials, and user-generated content (UGC) are all great examples of social proof that can influence broader engagement. Shout about your endorsements and broadcast what other customers are buying. You’ll soon spark interest from similar consumers who are in the market for your product or service. Now that you’ve struck up an emotional connection with your customer, it’s time to appeal to reason. They’ve built up enough trust to hear you out. And while impulse can sometimes mislead, logic isn’t as easily fooled. Rational engagement will consolidate emotive desires with reasoning: Do I actually need this Klimt print? Can I afford it? Where would I hang it? I’d need to buy a frame, too. Convincing customers of your products or services requires some fine-tuning. You need to align your proposition as a solution to an existing want, need, or problem. After all, no one likes buyer’s remorse. 53% of consumers rate quality over price when making a purchasing decision. Focusing on feature benefits will reassure consumers, while banging on about price can sometimes dissuade them from engaging further. Content needs to be relevant and sell the dream: Paint a picture of where your customer is going to be once they’ve purchased your product. While stories can be broad in their message, communications such as email need to be tailored to specific individuals. Base campaigns on personas or use preferences and behaviors to customize your content. Remember that, to satisfy the customer’s rationale, there should be a reason behind every message. Relevancy improves the likelihood of engagement. The knock-on effects include: increased customer satisfaction, retention, and cross-/upselling. 91% of consumers are more likely to shop with brands that recognize and provide relevant recommendations. Plus, 83% are willing to share their data to make this possible! Do you have a preference center? Segmenting based on explicit preferences, like product tastes, enables you to power dynamic content in email. Tracking implicit data, such as online activity, allows you to recommend highly relevant products. Armed with a mobile device, consumers can shop wherever and whenever they please. And while email is the undisputed king of ROI (£42 for every £1), other channels such as SMS and push notification warrant equal attention. Consumers, who perceive SMS as a direct and service-based communication channel, are super-responsive on mobile. They engage with messages instinctively. It’s no surprise that SMS has an unbeatable open rate of 98% and a response rate of 45%. Marketers have a real opportunity to capitalize on this near-perfect engagement score. 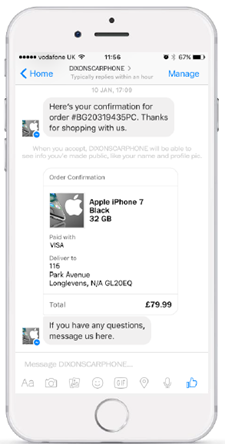 Sending highly contextual and timely SMS messages, such as dispatch notes or appointment reminders, can instill consumer confidence in your brand. Lifecycle marketing is about taking your customers on a journey. Automation empowers brands to logically structure their campaigns and content around the customer. The premise is context; every message should be relevant to the customer at their point in the journey. Think: welcome series, birthday trigger campaigns, post-purchase content, and loyalty programs. Fancy your hand at lifecycle automation? Download our worksheet here. Lead the charge on ethics! Happy customers aren’t always active promoters; brand promotion is at its strongest when they experience a sentimental connection with your brand. Remember, customers love companies who show they care for something other than the bottom line. Putting ethics before profit not only builds trust, it inspires customers to become actively involved in your brand. And that means more sales. 66% of consumers are willing to spend more money with an ethical businesses. What’s more, 92% of millennials are more likely to buy products from companies that value their ethics. Ask yourself, what does your business care about? Commit to something that both your brand and your customers care about. You might want to donate a percentage of your profits to charity, or plant a tree for every 10 products you sell. Showing that you’re making a difference can earn you more trust and cement your brand reputation. Anniversaries are a great cause for celebration. They’re a time for reflection and inspiration, so brands need to get stuck in. Making a campaign all about compassion – rather than promotion – can go a long way in customer engagement. Perhaps organize some business-wide charity work on your company’s birthday, or use Black Friday sales as a reason to donate to an important cause. Maybe your customers will follow suit? Download our customer engagement guide for some killer examples. Let customers know what their purchases go towards. A compelling aftersales moment can stay with customers forever. That feeling is something brands can’t buy. Go up in customers’ estimations by highlighting the contributions you’re making to a specific cause. Promoters will advocate brands that provide special customer experiences. You’ve got to make the transaction extraordinary so that it sticks out from the others. 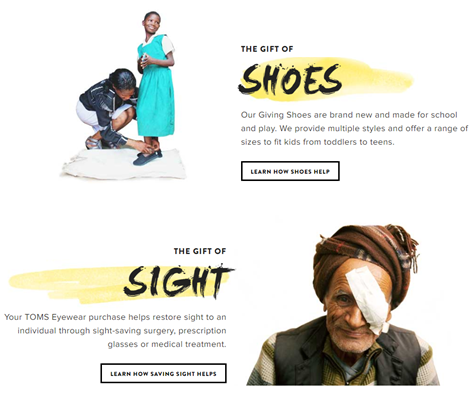 Customers will, for instance, be delighted that their purchase is helping others in need. Having felt something meaningful, they’ll continue to purchase with the brand and recommend it to their peers. So, whether it’s on your homepage or product pages, in email or on social, communicate your ethical activities. They’ll draw the eye, because your actions speak louder than your words. Remember that an authentic narrative will always inspire customer action. People will always pay attention to your business if you’ve got something worthwhile to say. Engagement is the result of a good brand story. It’s just a case of getting the balance of emotive and rational marketing right. Your brand proposition needs to feel right, make sense, and convey compassion. For more customer engagement tips and some great examples, download our full guide here. The post 3 ways to drive customer engagement appeared first on dotdigital blog.